How many years of IR to be followed? Dear students, this is Pavneet Singh. 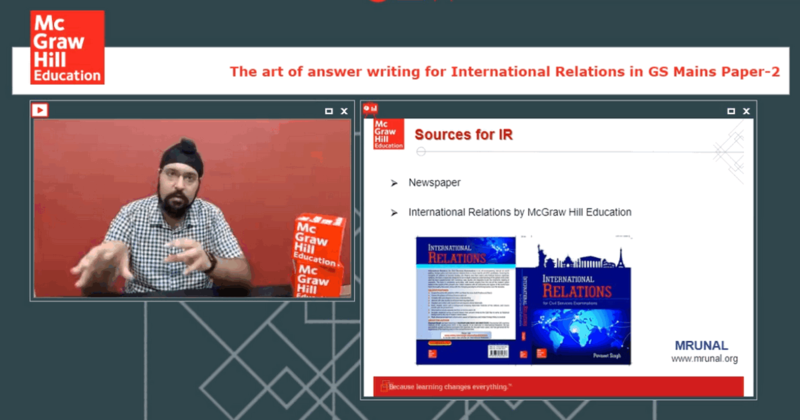 In this five part series, I’ll covering how to prepare International relations (IR) / diplomacy for UPSC Mains General Studies PaperII, as well as the art of answer writing with sample questions from previous years papers. So every year, in GSM2 three to four questions worth 45 marks to 60 marks (out of 250) come from IR / Diplomacy. It is a very crucial area it can cannot be neglected. Besides, once that once you are able to develop a command over this area, then without any difficulty, without too much of hardwork this area can fetch you a lot of marks and thereby can pull your overall score and help you to get a good rank also. 3 questions will be direct: So, if you had been following news about the countries, organizations, agreements and relationships with respect to India in the last 1 year, then answering those IR questions is very easy. 1 question will be indirect: One question is always very difficult, tricky or dicey or something like that. Because is not related to the last year current affairs, it is related to say for example 2 or 3 years old current affairs. IF you’re giving Mains exam for the first time, you may not be knowing last 2 or 3 years of current affairs, but there is a trick here, that one question is usually about a particular country which remains in the news in the last 1 year. But it may not be in a very aggressive manner, it may be in a silent and dormant manner but it will be there in the news. So, if you look at the GS Mains Paper-II prescribed by the UPSC in their official notification, these are the 4 topics which are mentioned outrightly very clearly in our syllabus. The first topic is India’s relationship with the neighborhood. First, let’s try to define what is ‘neighborhood’. So, neighborhood as Indian Foreign Policy perceives is actually that extent of the countries which ranges all the way starting from Afghanistan and then covering and coming all the way uptill Myanmar. So, basically the entire neighborhood is the countries that include Afghanistan, Pakistan they include China, Maldives, Sri Lanka, Bangladesh, Bhutan, Nepal. Maldives also we consider that as a part of our neighborhood only because it’s an island territory geographically proximity to us. The neighborhood of India is very very crucial for the Indian Foreign Policy, because what we do with respect to our neighborhood are the foreign policy level has a repercussion on India’s international image because India wants to become a global power. Any country that wants to become a global power has to have a stable peaceful neighborhood. Therefore, India invests a lot of diplomatic energy also on the neighborhood. So, that is the precise reason why UPSC also wants to test the aspirants on the particular topic called India and its neighborhood. bilateral regional global groupings and agreements involving India and/or affecting India’s interest. See, this is a very big topic. Let’s try to break it up. First thing is that the syllabus subtopic talks about the agreements involving India or affecting India’s interests bilaterally. So, this is very different from the neighborhood. In the neighborhood, our interest is only to cover the countries that we are having a border with. Whether it is a Maritime border with respect to Maldives or Sri Lanka or a land boundary with the rest of the people. The second part is which is called the bilateral groupings. Bilateral means any country in the world that basically India engages diplomatically and signs an agreement to further enhance the diplomatic relationship. See, this is where the challenge is because now we have mentioned this particular word called bilateral that means that any country India engages with then that country becomes important. And then you have to understand one thing that not only that country becomes important but that entire continent where that country is located also becomes important from the UPSC point of view! I will give you one example. Let’s say, Indian Prime Minister travels to Mexico. So, when we happen to travel to Mexico not only India-Mexico bilateral relationship becomes important but how does India look at Latin America now also becomes important. So, you have to understand if India-Mexico relationship is in the news, UPSC will not probably give a question on India-Mexico. There could be a possibility they may give you a question on Latin America. Are you understanding? The idea is that you have to follow the country bilaterally and look at it as a continental part also. Let’s come to the next part which is called regional agreements. IndiaMexico is a bilateral engagement. Now, when we come about and talk about regional, regional basically means that how do we particularly look at a particular region in the world. I will give you one example. Central Asia is a region. Within Central Asia there are 5 central Asian republics. If any one Central Asian republic and India’s relationship is in the news. Like say, IndiaTurkmenistan is in the news. Then, India-Turkmenistan can be called as a bilateral relationship, but India-Turkmenistan because Turkmenistan is a region and we engage with that Central Asian region, it can come under the regional part also. So, you have to keep that in mind. next part of IR syllabus is global groupings. See, global groupings is actually a term which is related to the 4th part of our syllabus i.e. important international institutions, agencies and fora their structure mandate. You see very carefully, global groupings are international organisations. These international organisations where India participates, where India is a member, where India is an observer. You have to study that. And if any particular, you know kind of a International grouping comes in the news. 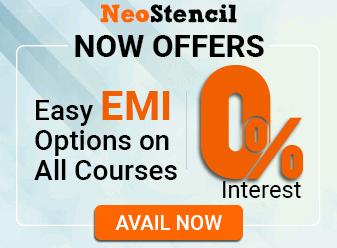 Therefore example India has any kind of interest, You have to study it holistically because a question can come. Syllabus says “important international institutions, agencies and for and their structure and mandate.” See, there are 2 things here. The word ‘structure’ and ‘mandate’. But, Don’t restrict your knowledge and your understanding and your reading from the newspaper only to the structure and mandate given. Try to also understand very carefully: What is the structure. What is the mandate and does that organization stick to its mandate or does it digress from its mandate. Does it impact India? And if it affects India, how does India retaliate? Example, India has been buying a lot of oil from the west Asian countries. West Asia is a region. West Asian countries when they sell oil to India, they will sell oil to India through a particular group regional organization that they have called GCC Gulf cooperation council. So, you know if there is any India and West Asian country in the news like Indian Prime Minister travels to UAE or Indian Prime Minister travels to Saudi Arabia or like the U.A.E.’s foreign minister who is at India last week only. If there is any kind of bilateral meeting like this where somebody comes from our side or you know bilaterally we visit there. You have to look at the regional fora of that country also. So, you have to look at the fact that the U.A.E.’s foreign minister visited last week then U.A.E. is a part of the GCC, i.e., Gulf cooperation council, that means you have to study gulf cooperation council. The word ‘important’ clearly signifies here that the institutions which are going to be there in the news if what UPSC will ask. So, UPSC is not going to ask you out of the blue some random institution. You see these people are very well aware, they don’t make questions when they are in a drunk state or something like that. So, they will make questions which are the events which are happening in the news. So, you have to be very particular in following. Now, let’s come to the last part of the syllabus. This subtopic is called “effect of policies and politics of developed and developing countries on India’s interests, Indian diaspora”. See, this is a very very important part of our syllabus because mostly people don’t prepare about the diaspora and they don’t understand how to prepare also. When a developed country comes with a policy it may affect India’s interest. Example, USA is a developed country. They came out with a policy where Trump today wants to say that you know we don’t want to give H1B visas again. H1B visas are basically visas which are applied by the Indians. Half of our Andhra Pradesh lives there basically the U.S.A. only. Our reddy brothers there. This kind of a policy impacts India. Now, let’s look at the second word ‘Indian diaspora’. There could be a policy of some country where Indian diaspora gets affected. Example, if Sri Lanka comes out with any policy that may affect the Indian diaspora called the Tamil population in Sri Lanka, then again you have to study this. That is where for your help the international page of the Hindu newspaper will come to play. You have to read that event to understand that through that event does it affect the diaspora. Question from Chandini Verma: For the upcoming USPC exam we have to follow upto how many years of International events like last 5 years? Ans. So, as I told you in the beginning last 1 year is sufficient and 1 question which is like 1 or 2 years old that can be easily managed provided that you are thorough in the last 1 year also about that particular country which is predominantly there in the news. Question from Rakesh Kumar: Please tell us some topics which are relevant for the IR part for this year Mains! Ans. Honestly, I don’t want to get into any kind of prediction. I’m not Nirmal Baba or anything. But please try to understand one thing that any question with respect to any country which is there in the news as I told you earlier also please take out the newspapers. Starting from June last year till October this year. So, for 1 and a half year period since last year June till October have a look at thoroughly at the countries which were there in the news. All the global groupings that were there in the news where India participated and read them from the book so that you get the background. Prepare the current part where your country is involved. So, I mean this prediction that you know that I give you a list of 10 countries that really sounds useless. Because UPSC is not going to ask something that I’m going to tell you. Because I’m not the member of UPSC making the question. Questions will come from the newspaper. So, whatever is there in the news please read that okay. 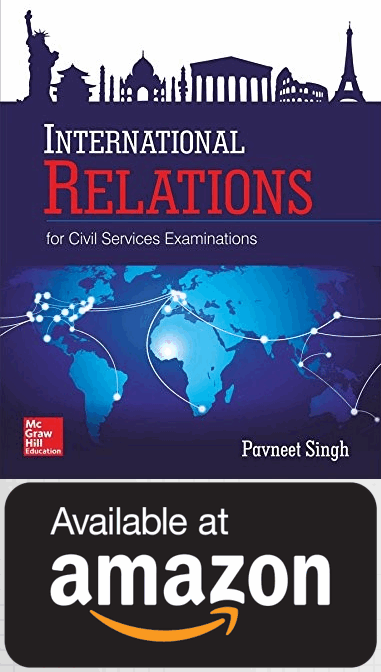 Question from Aradh Bhavu: How to prepare IR with respect to the Political Science and International relations optional subject? Ans. My book is exclusively for the General Studies there is one chapter which is called the chapter of India’s grand strategy. Section I chapter number 2. Section I chapter number 2 is exclusively written for political science because you have to understand that in the political science when you are writing an answer your answer has to have a lot of scholars. So, these scholars are given their specifically with respect to every country which is are which is asked in the UPSC in the political science part sectional chapter part to basically caters to that. The idea in a nutshell is that you have to prepare India and the world. You have to prepare every country whichever is there in the news. You have to prepare any block of countries which are there in the news. You have to prepare any International grouping which is there in the news whether it is a UN grouping or a non UN grouping. If it is there in the news with respect to India, it has to be studied. That is where the challenge lies, that there is no limit which is defined here. Anything can happen in the 1 year period and if anything happens, it is relevant for you. In the next part of this series, I shall discuss about the sources of preparation for IR/diplomacy.